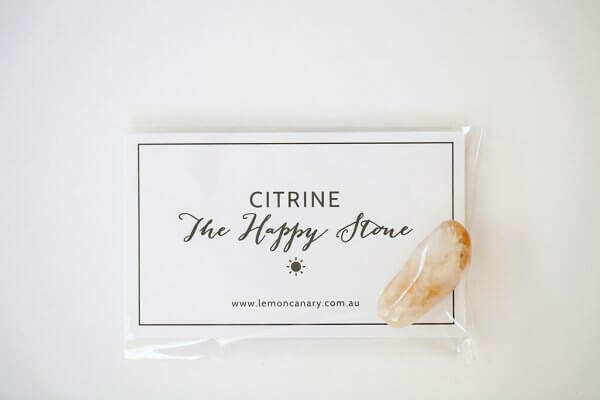 This beautiful Citrine Intention Pouch is designed to give to yourself or someone else. It’s ‘The Happy Stone’. It contains a beautiful Citrine pocket tumble stone with a Happy Blessing Card. This is the perfect match for our Happy Organic Scent Collection.